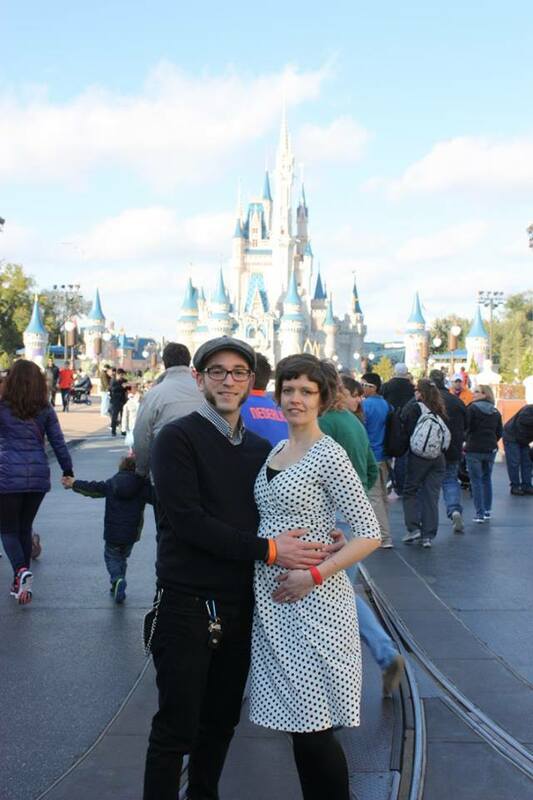 Pregnant and Vegan in Disney… Top 5 Tips! Eating for two vegans in the happiest place on Earth is a little easier when you are prepared. You are allowed to bring beverages and food items into all Disney parks. We took full advantage of this, and carried water, bananas, and vegan protein bars with us each day. There are plenty of snack, quick service and table service locations that offer vegan options, but there were definitely times that I couldn’t wait in line to grab a bite (besides, pregnant legs like to cramp up, especially with all of that walking, so staying hydrated and getting lots of potassium and other electrolytes is key! Having water and bananas with us at all times helped a bunch!) Also, when those ice cream cravings hit, don’t miss the chance to enjoy a non-dairy frozen dessert or Dole Whip. Finally, note that many table service restaurants offer ice water inside (or just outside) their waiting area, in case you have a sit for a bit before your table is ready. Know the attractions – many, many Disney World attractions are safe for expectant mothers. In Magic Kingdom, the three “mountains” (Space, Big Thunder and Splash) are off-limits. You’ll want also to avoid Test Track and Mission Space in Epcot, Rock ‘n’ Roller Coaster, Tower of Terror and Star Tours in Hollywood Studios, and Kali River Rapids, Dinosaur and Expedition Everest in Animal Kingdom (I have heard of pregnant ladies braving the bumpy Kilimanjaro Safari, but I decided against it). Most rides have detailed information near the entrance if you are unsure, and Cast Members are always on hand to answer questions as well. In general, if the ride is okay for very young children and grandparents, it is probably perfectly safe for you, too. If you are with a group that wants to ride an attraction that you don’t plan to, you can always stand in line with them and utilize the “chicken exit” right before they board. I did this a few times on our January trip, and was able to wait for my party at the attraction exit with my fellow “chickens”. When we made our FastPass+ selections, my husband and I purposely chose a few “safe” rides for me that sometimes have very long waits (such as many Fantasyland attractions) and a few thrilling attractions for him. Let Disney technology work for you! The My Disney Experience App (free) is a great tool that is worth downloading onto your smart phone before you visit the parks. It not only displays wait times and attraction locations, it always has a very helpful feature for pregnant gals – the location of each and every bathroom! I had never used this option before, but it came in quite handy, especially on our last trip. You can also find dining options using the app. Take advantage of services – if you are staying at an on-property Disney Resort and purchase a retail item at one of the parks or Disney Springs, it can be magically delivered to your resort for you at no charge. This is a great perk that can help you avoid carrying heavy packages around, especially on a hot day (just make sure you aren’t checking out for at least 48 hours after your purchase, it can sometimes take a full day for items to arrive at your resort’s retail store or other designated pick-up spot). Disney PhotoPass photographers are pretty much everywhere now, and they were all super excited to take pictures of a pregnant lady in Disney. Many of them posed us several times, and we now have beautiful forever memories without paying for a maternity photo shoot! If you don’t plan to purchase Memory Maker, you can always ask the Disney PhotoPass photographers to take a picture using your personal camera, and still get some great shots! Enjoy breaks and downtime – I’m not gonna lie, it was hot on our last visit (nearly 90 degrees each day!) and I could feel much more as a pregnant person than ever before. Don’t push yourself too hard, and plan to take several breaks throughout the day. In the Magic Kingdom, we enjoyed The Hall of Presidents, Carousel of Progress and Tomorrowland Transit Authority as our top attractions to sit and rest our feet for a few moments. There are lots of beautiful shady spots in Animal Kingdom, and shows such as Its Tough to Be a Bug! that offer a break from the heat and sun. Look over the map of the park you are visiting and take a moment to choose a few shows, rides or areas that you can escape to if you start to feel tired or overwhelmed. Most of all, enjoy this very special and magical time!